Take a break from Melbourne with a short trip to Werribee Open Range Zoo in Werribee, about 42 minutes away. Dedicate the 1st (Fri) to wine at some of the top wineries in the area. There's still lots to do: take in nature's colorful creations at Royal Botanic Gardens, browse the collection at State Library of Victoria, enjoy unforgettable views with a balloon tour, and meet the residents at Melbourne Zoo. To see traveler tips, more things to do, photos, and other tourist information, go to the Melbourne trip planner . New Delhi, India to Melbourne is an approximately 16-hour flight. You can also do a combination of train and flight. Traveling from New Delhi to Melbourne, you'll lose 4 hours due to the time zone difference. Traveling from New Delhi in January, expect Melbourne to be a bit warmer, temps between 32°C and 17°C. Wrap up your sightseeing on the 3rd (Sun) early enough to travel to Sydney. Spend the 11th (Mon) exploring nature at Sydney Harbour National Park. There's much more to do: catch a live performance at Sydney Opera House, enjoy the sand and surf at Manly Beach, take a stroll through Darling Harbour, and admire nature's wide array of creatures at Sea Life Sydney Aquarium. 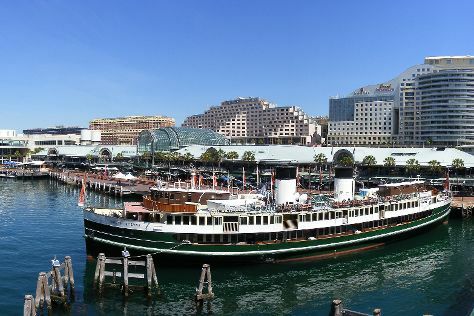 For other places to visit and tourist information, go to the Sydney itinerary maker . Traveling by flight from Melbourne to Sydney takes 3.5 hours. Alternatively, you can do a combination of shuttle and flight; or drive. Traveling from Melbourne in February, you can expect nighttime temperatures to be a bit warmer in Sydney, with lows of 23°C. Cap off your sightseeing on the 11th (Mon) early enough to travel to Byron Bay. Venture out of the city with trips to Watersports Guru (in Kingscliff) and Tweed Regional Gallery & Margaret Olley Art Centre (in Murwillumbah). On the 14th (Thu), give your taste buds a day to remember with a local gastronomic tour. The adventure continues: visit a coastal fixture at Cape Byron Lighthouse, stroll through Cape Byron Walking Track, kick back and relax at Broken Head Beach, and find your balance on the water with some of the best stand-up paddleboarding in the area. For photos, other places to visit, more things to do, and more tourist information, refer to the Byron Bay trip itinerary app . You can do a combination of flight and bus from Sydney to Byron Bay in 4.5 hours. Alternatively, you can drive; or do a combination of train and bus. Expect a daytime high around 34°C in February, and nighttime lows around 21°C. 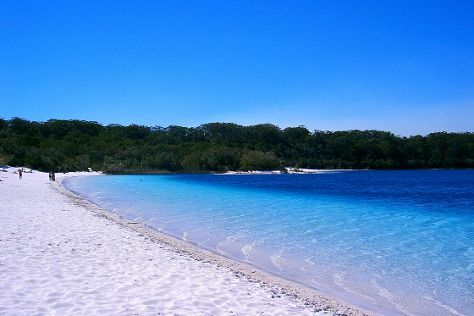 Finish your sightseeing early on the 14th (Thu) so you can travel to Fraser Island. Fraser Island is known for nature, beaches, outdoors, historic sites, and spas. Your plan includes some of its best attractions: contemplate the waterfront views at Lake McKenzie, tour the pleasant surroundings at Eli Creek, don't miss a visit to K'gari, and enjoy the sand and surf at Indian Head. To see more things to do, other places to visit, reviews, and other tourist information, use the Fraser Island online vacation planner . You can do a combination of car and ferry from Byron Bay to Fraser Island in 9.5 hours. Other options are to do a combination of bus, train, car, and ferry; or do a combination of bus, car, and ferry. February in Fraser Island sees daily highs of 35°C and lows of 24°C at night. Cap off your sightseeing on the 19th (Tue) early enough to travel to Cairns. Venture out of the city with trips to Palm Cove (Hartley's Crocodile Adventures & Spas & Wellness), Alexandra Bay Waterfall (in Diwan) and Safaris (in Port Douglas). Spend the 20th (Wed) among aquatic life with a scuba or snorkeling tour. There's still lots to do: stroll through Esplanade Boardwalk, enjoy the sand and surf at Thornton Beach, see the world from above with a helicopter tour, and enjoy some diversion at Muddy's Playground. For where to stay, traveler tips, photos, and other tourist information, use the Cairns tour itinerary planner . You can do a combination of car, ferry, and flight from Fraser Island to Cairns in 10.5 hours. Alternatively, you can do a combination of car, ferry, and train; or do a combination of car, ferry, and bus. In February, daytime highs in Cairns are 36°C, while nighttime lows are 28°C. Wrap up your sightseeing by early afternoon on the 27th (Wed) to allow enough time to travel back home.